Cadmium, Lead & Nickel Free!! 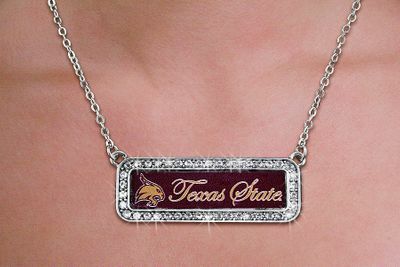 Silver Tone Lobster Clasp Chain Suspends A Beautiful, Silver Tone Rounded Rectangle Pendant With The Texas State University Bobcats Logo, Bordered In Sparkling Clear Crystals. 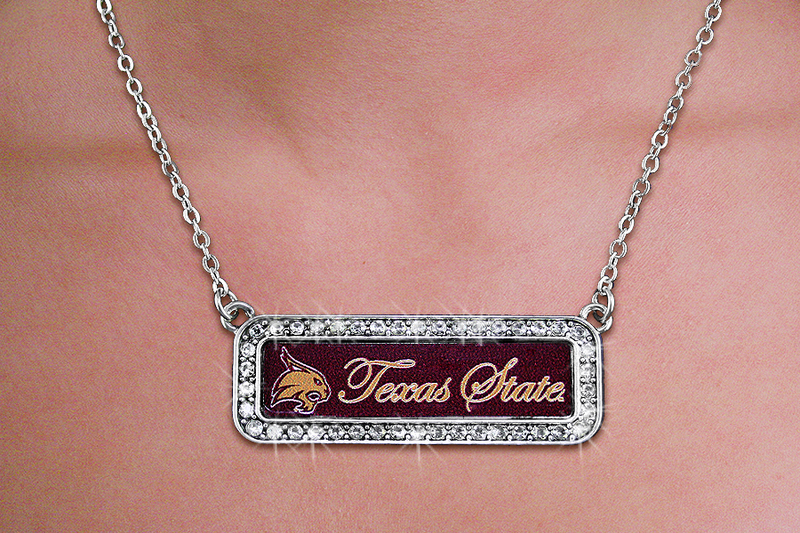 Pendant Measure: 1 3/4"h x 5/8"w.